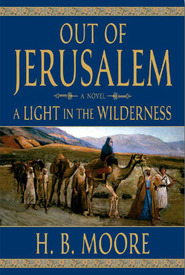 When Mulek, son of King Zedekiah, secretly surfaces in Jerusalem some years after his escape, he brings with him a mysterious and legendary object: the curious compass reputed to have guided Noah’s ark to safety. 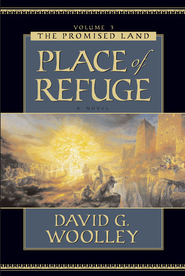 As Mulek seeks to conceal the coveted treasure, four other exiles approach the city: the sons of Lehi, who fled their homeland with the brass plates only to receive God’s decree to return and claim their intended wives, the four daughters of Ishmael. Sariah joyfully begins planning a wedding in the desert, but the long-absent brothers are hardly received with open arms, and securing their brides-to-be becomes a challenge as formidable as eluding the officials enraged by Laban’s recent murder. 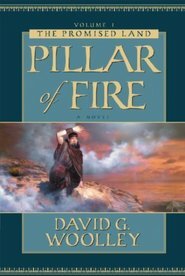 As persecution rages under the hand of Laban’s cruel successor and Babylonian armies gather for war, a young woman must risk her life to protect the Liahona, the compass that will lead God’s chosen people to the land of promise. 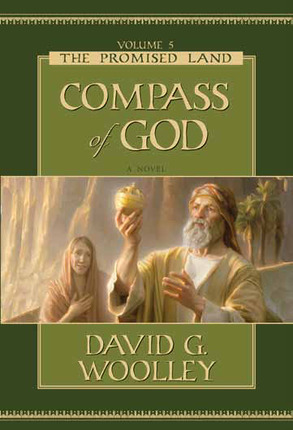 Beautifully written, deeply moving, and highly intense, Compass of God is a novel about a tumultuous and spiritually significant period of history that sweeps the reader along in the events that take a Book of Mormon prophet and his family into uncharted regions of time, place, and the human heart. The cast of characters is richly diverse and compelling in this story of political intrigue, intricate family dynamics, and spiritual awakenings. 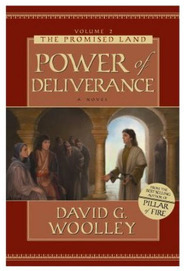 Author David Woolley has once again created a masterful blend of intensely researched details, adventure, and drama, and he has an unerring grasp of the complexity of human relationships in this unforgettable story of love, betrayal, faith, and forgiveness. 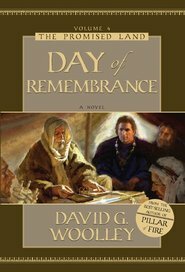 Filled with page-turning action, this superb fifth volume in the Promised Land series has all the elements that make for outstanding historical fiction. It is a well-orchestrated, breathtaking symphony of adventure, romance, and a fever-pitched battle between the forces of good and evil. 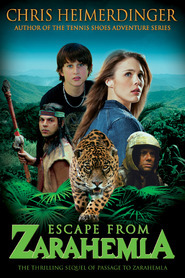 I'm Anita--the one named in the author's notes as the "first reader" of Compass of God. I guess that makes me a sort of guinea pig. And a very fortunate one indeed. I’d never witnessed the creation of a novel before and was surprised at the long, careful process. Lots of writing. Lots more rewriting. In fact, according to my counter, I read and commented on 198 versions of chapters, scenes, and snippets before the manuscript was submitted to the publisher. Just when I’d think it couldn’t be any better, I’d receive a new revision superior to the previous one. That’s what makes a David Woolley novel so delicious--his careful craftsmanship and his propensity for perfection. As the manuscript neared completion Brother Woolley stumbled onto a plotline important to the next volume that needed beginning in this one. All progress halted while he spent months studying the historical details and fitting them into his story. More rewrites followed. The result is a wonderful, timely, novel that will keep you reading late into the night, promising yourself you’ll put it down at the end of the next chapter. The historical notes following the story are fascinating and were painstakingly researched and written with the same professionalism we’ve come to expect from this author. Take it from me, YOU’RE GONNA LOVE IT!